The recent results that Leicester city got have put all in Barclay’s league in a fix. The big boys are really losing it to the foxes. They turning it on. With Kasper Schmeichel really saving the goal post the foxes are ruling the table. With 50 points from 24 matches it seems they will surely finish among the top four. Goal scoring and defending has been great by the foxes this season. The best part is nobody expected them to be at the top. How has the newly promoted club done it? Let us see what has led to this surprise. The first reason is scoring goals in all the matches and Jamie Vardy scoring 15 goals which is equal to the superstars Messi and Cristiano Ronaldo combined ion La Liga. 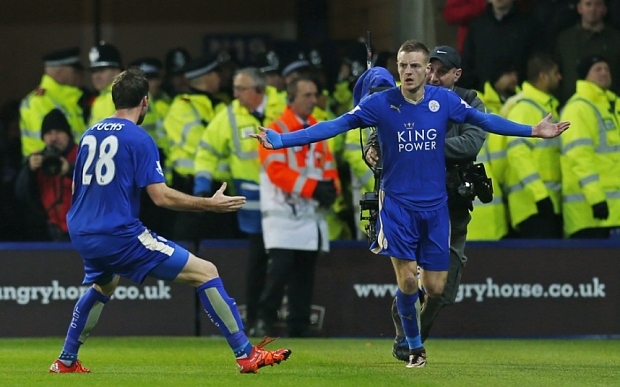 The forward’s success is one of the main reasons for the foxes tripping all big teams. Mid field success of an unknown name Riyad Mahrez who boasts of the second highest assists is another reason for the success of Leicester city. The lowest number of losses that is 2 in the whole season has also contributed to the place where the foxes are now. This speaks volumes of their defense which is solid. So the big boys like Manchester City, Manchester United and Arsenal have to take the foxes seriously if they want to win the BPL. The British Premier League that we all love so dearly, has changed hands quite a bit. In 2008 you might remember that it was purchased by Abu Dhabi United Group, owned by the Sheik Mansour bin Zayed Al Nahyan. Make no mistake, this team is doing well. They stand currently near the top of the Premier League along side big rivals. What makes this story interesting is how China has tried desperately to develop a premier sports league of its own. With many failures, they are scouring the globe for entertainment investments including our beloved sport of football. SPT_GCK_241110_Manchester City Academy. Picture Graham Chadwick. Academy players during a training session at there indoor facility at the Platt Lane complex. This investment has paid off dearly and benefited all involved according to most, although in the beginning everyone is suspicious of outside interests taking hold of our football programs at home.! We live in a day and age where foreign interests are part of the game and I think we are realizing you must see the pros and not the cons. Sponsorship means growth, and if the Chinese markets are looking around the world on where to put their millions or billions why not here in the UK with our squads. Stay tuned for more developments on this! To read more about it, visit https://goo.gl/qzzG9n. Is Jose Mourinho losing it? Well the recent losses suffered by Chelsea seems to indicate the slide. Mourinho even spat out in an interview that he would not quit in any case. Well I feel Mourinho should calm down a bit. The wins and losses have to be taken with the spirit of the game. The gone season Chelsea were the league champions and it always is hard for the champion. the people expect a repeat which cannot always happen. The recent 3-1 loss to Southampton was the worst. The biggest disappointment this season has been Eden hazard who is Mourinho’s favourite player. He even missed a penalty.It was as if he was trying to score in Rugby. The effect of England early exit huh! But mind it one goal can be the difference as this season seems to be headed for a tight finish. 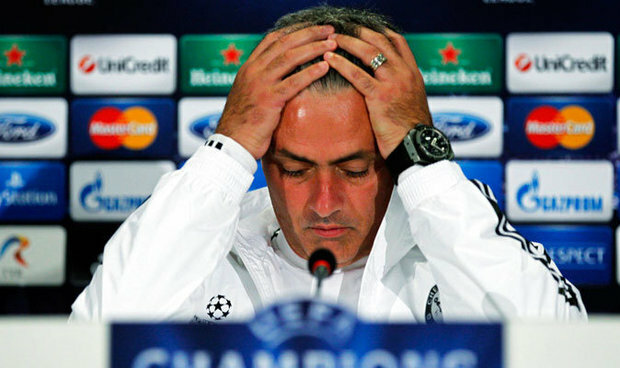 Mourinho blamed bad defense for the recent losses. Well Chelsea seems to be affected by the early losses and that is quite evident in their action on field. The problem for Chelsea seems to be most at the goal post. With Petr Cech has moved to Arsenal and Chelsea goal post seems vulnerable to every attack. He was instrumental in their Premier league win last season. However the season is long and Chelsea can bounce back. For that they need to start winning. There is no other way. Why Soccer is so Popular? Soccer is the most popular sport of the world. Ever thought the reasons for it being so popular? Well they seems obvious but when I started thinking I could count only two or three and they were not real reasons. Hence I researched the topic thoroughly and the reasons were startling. Game was first played in colonial Britain – Yes the game which is now known as a beautiful game was invented in Britain and popularized throughout the colony. Due to the colony encompassing almost every region of the globe, it became the most popular sport. You may argue that cricket also was invented in Britain. Well folks Cricket requires more equipment. The simplicity – Soccer is a simple game and does not require a playing field. You can play in a small area. You just need a ball which can be made of rubbish. This is how it became popular in Brazil, which breathes only soccer. Cricket on the other hand requires a pitch and also stumps etc. Media’s Role – The first game to go professional was soccer. Since then media has been able to make it reach people who cannot watch the game. Media has been the catalyst of popularization with TV coverage and newsprint. Fitness – Yes soccer players are fit. They cannot run for 90 minutes without being fit. Earlier when there was no substitution a player had to be fighting fit to start and finish a game. Well some players still do that. Is it not? Exciting – Every second of soccer is exciting to play or watch. No other sport can match this feature of soccer. So, it moves higher and higher in popularity charts. Chelsea are the winners again, signifying the importance of a settled team and a wily manager. Leading from the first leg, they never were less than number 1 except once in the season. The biggest loss was a 3-1 loss to Tottenham, but they won most of the games thereafter very easily. All through the season John Terry featured in every single game. It was a master plan of Jose Mourinho that worked wonders for the team this season. His talisman Didier Drogba will retire with grace having won the prestigious English Premier leagues. There is something that works for Chelsea when Mourinho is managing the team. Other teams were left clueless about the secret of the consistency that Chelsea exhibited. The cash rich Manchester City which won last season were not challenging Chelsea anytime during the long season. The record for most days on top of the league table has also been broken. A phenomenal 270 + days at the top. Jose Mourinho also won the best manager this season with the charismatic Sir Alex Ferguson praising him on his tactics. He made simple tactics and proved that simplicity wins over complexity. So, what exactly is the secret of Jose Mourinho and Chelsea really blossoming together? Mourinho has also tried his hands at other clubs but never with such success. The reason most probably is that he knows every player of the team and makes additions at his own free will without much intervention. This adds to the exceptional tactician he is. I hope he will carry on the success and win another title next year. There is no stopping the blues. Champions League is the next stop. Last two weeks have not been great from Liverpool‘s perspective. In a lot of ways, the past couple of weeks are reminiscent of their breakdown towards the end of the last season. A top 4 finish looks a distant hope, but howsoever slim the chances maybe, hope is what every Liverpool supporter should hold onto. With Chelsea and Arsenal all but set to finish first and second, the two teams that can make way for Liverpool are the Manchester Clubs. Manchester United have had a sinusoidal season. But LVG seemed to have finally cracked the code with his best team. The team is scoring goals and defending well, but if there’s one thing that can hinder their progress for the CL place is the fixture list that awaits them. They are yet to play everyone from the current top 4 excluding themselves. Other than these, they face Everton and Crystal Palace in away games, and as Manchester City can attest to it, it is no easy win. Manchester City were favorites to win the league for most of the season. We are still not sure what went wrong for them but they might be looking for a finish outside top four. Their fixture list, though not as daunting as United, is far from easy points. The big names include Tottenham, Southampton and Manchester United. City may have a star studded side, but their recent form has been far from convincing and if they were to miss out on a CL position, that will be more down to their mental strength, than the capabilities of their players. Liverpool still need to win all of their remaining fixtures to have an outside chance of finishing in top 4, but as long as it is possible mathematically, they should not lose hope. ‘Tis the season to find your players for your club, apparently. Manchester United has been rather busy, shopping around for a number of players all over Europe. So far, they have gone to four countries, scouting for new signees to one of the most prestigious clubs in the world. And you know what this means- lots of gossip. 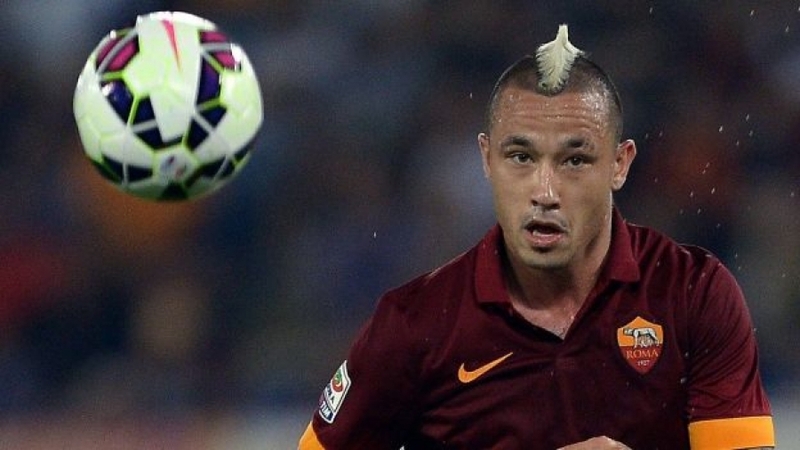 First stop was Rome, where United scouted Radja Nainggolan, who has managed to impresss the scouts. Nainggolan is a midfielder with quite a strong combative streak and his current asking price is £30m. It looks like United will be ready to shell out that much to Roma, too. In Madrid, Raphael Varane was the one who impressed the scouts the most. Varane is a 21 year olfd defender who is currently with Real Madrid. There are speculations that Real would expect anything above £35m and above to part with their defender, especially one who has been doing quite well. United has also been eyeing Mario Mandzukic who is currently with Atletico Madrid. At £40m, he has the highest asking price among those being scouted currently. Memphis Depay, in Eindhoven, has caught the eyes of the scouts at United, and for good reason. He has had a pretty spectacular season off late. Benedikt Howede is the German star who is expected to join the club as well. Of course, these are just rumours- whether or not these join the club is yet to be seen. To know more about it, click on https://goo.gl/FqWzP8.